Creaton History Group welcomes new members and visitors too. Annual membership is £14.50 and membership gives you free access to all our talks. Special rates available for a half season. Guests pay £3.50 on the door for individual talks. All talks take place in St Michael's and start at 7:30pm. No fee is charged for children under 15. Visitors are always made welcome. Talks usually last about an hour and are followed by a social gathering and complimentary refreshments. The History Group of the Friends of St Michaels are a non-religious group who aim to raise funds to help to keep the Church building and graveyard in a good state of repair. For further information please contact the Treasurer, Stuart McGregor 01604 505593. 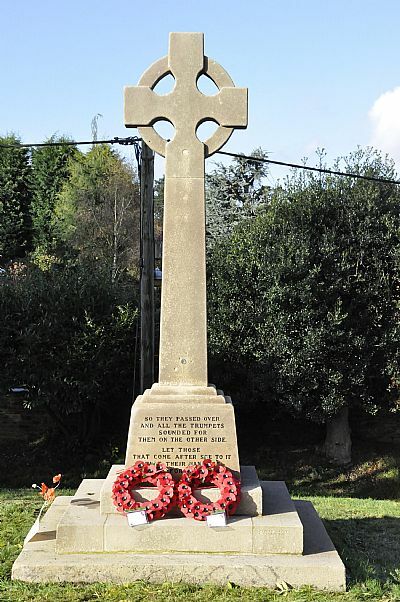 2014 was the centenary of the start of the First World War, in which Creaton lost twenty men from a very small village. Time and the weather took their toll on the Memorial, and the above photograph shows the restored and cleaned version. The Village History Group set aside £900 from our fund-raising activities, and also had a substantial donation from the Creaton Group of Charities.